We adore expanding our KBR family with vibrant and enthusiastic individuals who adore children's literature as much as we do. Penelope Pratley is one such person who's life centres around creating, absorbing and sharing divine stories for children. You may recall, we invited Penelope to share her illustrative secrets with us earlier this year. 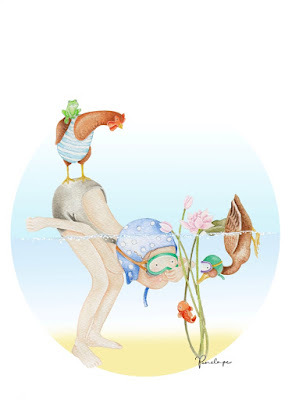 If not, here is her Meet the Illustrator interview. Kids' Book Review is jumping-cow happy to have Penelope join our spirited little team and can't wait to share her reviews with you. Meantime, take a moment to get to know her better. An artist, illustrator, writer and educator, Penelope loves to dance, nap, and teach art. She was a fairy, reads copious books, and plays the harp. She has been commissioned to create several portraits, mostly of children and their favourite things. Illustrations that commemorate weddings, birthdays, or the arrival of a new baby, and memorial pieces for families grieving the loss of a loved one. Penelope truly believes that art should serve others, develop the imagination and bless others. 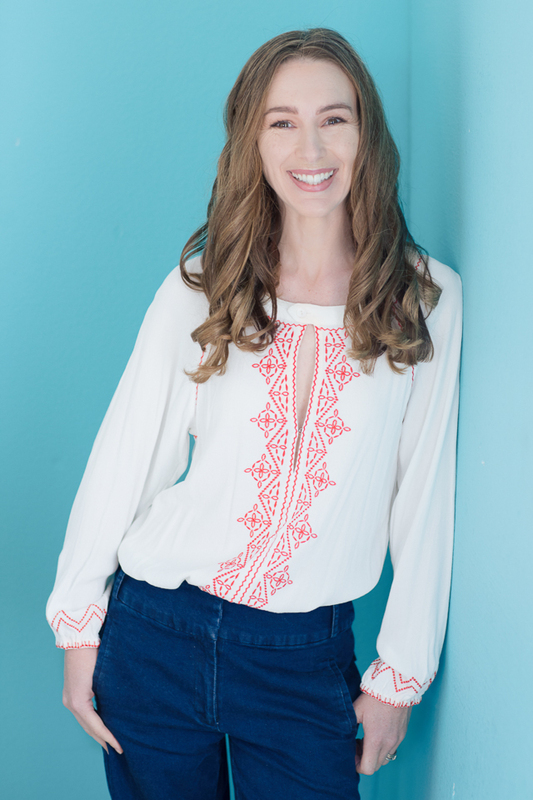 She recently finished illustrating her debut picture book to be published in 2018 by EK Books. Penelope currently spends her days creating all kinds of lovely images for clients, successfully ignoring the housework, eating chocolate freckles and enabling others to interpret their world through creativity in Art. She lives on the North Coast of New South Wales with a surfer, an inventor, a ballerina, three greedy chickens, a fat rabbit, an ancient guinea pig and a blossom tree (that has only blossomed three times). On special occasions she still wears her fairy wings. 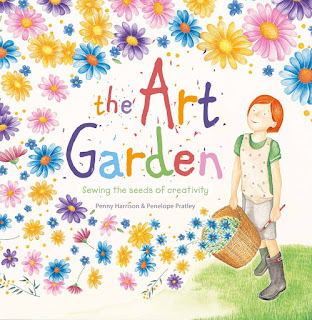 Kids' Book Review is thrilled to share the cover of Penelope's debut picture book, The Art Garden, due for release February 2018 with EK Books.